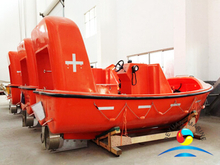 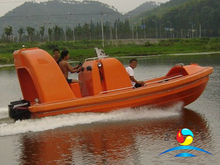 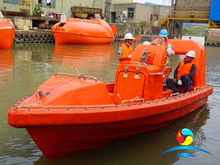 Fast rescue boat are made of GRP, it has been designed in latest SOLAS regulations and LSA code. 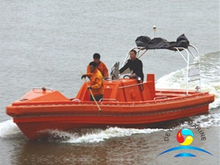 All rescue boat come with ABS, DNV, LR, BV, CCS, RINA, etc. 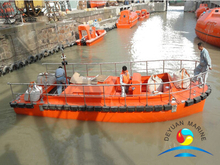 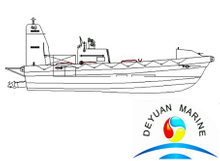 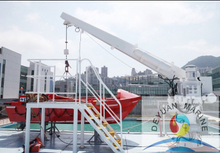 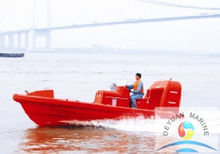 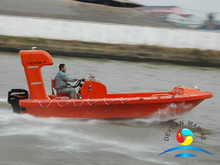 Deyuan marine can offer wide range of fast rescue boat that can be used in a wide variety of applications, including rescue, patrol, survey, etc. 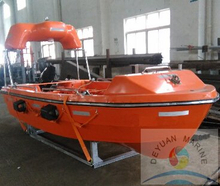 Our rescue boat are in outboard and inboard engine version.Inboard engine type with water jet propulsion unit, Capacity up to 16person, speed can up to 30Knots. 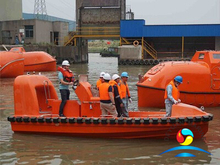 Pls donot hesitate to contact our sales team if any inquiry or questions, we will give an on-time response with compectitive price.